Christmas – a time of presents, giving, receiving, concerts and singing. Most of us slip into the season without giving it a second thought. But for those who have suffered a loss, it can be a time of renewed pain and sadness as we greet the season without our loved one. Sometimes it is disease that is slowly taking away a person we love. 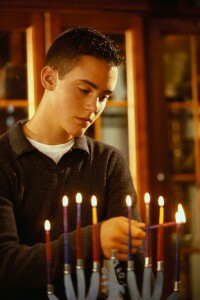 Those losses include our pets, as well, as anyone who is a pet owner can attest to. They are a part of our families too. Earlier this year I invited Deb Kalmbach, a writer friend, author and speaker if she would be a guest blogger. She had written a book about the escapades of her Jack Russell Terrier, entitled “Kosmo’s Christmas Delivery” (available on Amazon.com) and I had asked if she would write a guest blog for my website about what we can learn from our pets. She shared the following blog which was posted on her website and she asked if I could re-post it on my website.She recently lost her beloved dog and her blog speaks to love of her pet and the pain felt of his death. We said good-bye recently to sweet little Kosmo, our 14-year old Jack Russell Terrier. It’s still hard to believe he’s gone. I keep looking for him everywhere. I’m certain that noises I hear are Kosmo. He’s letting us know he’s at the door or jumping down from one of his favorite perches so he can check out what’s going on outside. He never missed a thing! Kosmo came into our lives on an ordinary summer day. We had no idea our lives would be turned upside down and our hearts inside out by one small dog. Randy and I were content. We already had our fill of Jack Russell adventures with our dog, Kramer. But Doc (the local veterinarian) and his wife Patty were convinced we needed a companion for Kramer. Patty introduced us to this wriggling bundle of energy one day while I worked at our video store. “Here’s Kramer’s little brother,” she proudly announced. Patty, not one to be discouraged, said she’d already been to the house to tell Randy this exciting news. I wasn’t sure we were ready to welcome another puppy. Kramer was only 3-years old and we’d weathered his puppyhood without too many problems. Only a few indoor “potty- accidents” and Kramer had mastered the routine. Kosmo proved to be an entirely different story. Well, how could we say no? A few weeks later, after Kosmo’s first sign of “trouble,” Patty asked if we were still talking to her. Kosmo had swallowed our neighbor’s gold nugget heart-shaped pendant. He needed to see a specialist in Wenatchee (2 hours away) to have it extracted. Doc had pointed out the perfectly shaped heart lodged in Kosmo’s stomach on the X-ray. That should’ve have been a clue. This dog would cost us way more than we could’ve imagined! I managed to laugh, remembering Kosmo’s encounters with bobcats, skunks, cows, getting lost in the wilderness, and swallowing a jellyfish– just to name a few of his misadventures. Yes, it really was a miracle that Kosmo lived to old age. I can’t help but think of how much we learned from him. He lived his life with ferocity. I’ve read that Jack Russell Terriers are known for being tenacious. Kosmo took this to a whole new level. When my friend Sue came for lunch, Kosmo always raced down the driveway to greet her, leaping as high as he could, and catapulting himself right into her arms. One of his favorite pastimes was dunking his head underwater in the river or at the ocean to dig for rocks. He didn’t give up until he procured the perfect one. He managed to carry it to the car or all the way home. No doubt about it, Kosmo lived life to the fullest. Kosmo was fearless–sometimes to his detriment. His curiosity knew no bounds, and often landed him in deep trouble–when he faced off with cows or deer and managed to hold his ground. Look at life with courage. Kosmo offered unconditional love. Whenever Randy and I came home and saw Kosmo watching for us from his window vantage point, our day instantly became a lot brighter. When I was tempted to be a couch potato—especially on cold winter days, Kosmo let us know that wasn’t happening. Come on, let’s go! His enthusiasm was almost contagious. We’d always give in, bundle up in our winter coats and boots (and bundle Kosmo in his coat) and trudge down the snowy roads together. He loved to go cross country skiing and snowshoeing. He spent most of the time attacking our skis or snowshoes. Now that adds another dimension to trying to stay upright on skis! Kosmo was 100% loyal. He always knew when we were feeling down or under the weather. He knew it was his place to snuggle next to us. During his last weeks, he hovered especially close. Being near us must have comforted him. We didn’t know how sick he was because he never complained. He kept soldiering on. Our veterinarian told us the tumor in his stomach was so large, he didn’t know how Kosmo had functioned. But I do. It was his job to always be there–right until the end. Now my emotions swing between remembering all the moments of pure joy spent with Kramer and Kosmo and feeling heartbroken because I miss them so much. My 5-year old granddaughter Lucy told me that losing Kosmo is super sad. She instructed, “Grammie, you have to get another dog and name him Kosmo.” Children have such a sweet way of fixing your heartache. I wish it were that simple. It will take time to learn how to do life without Kosmo. Maybe someday we’ll open our hearts to another little canine friend. Until then, we shed some tears and smile through them as we remember. I’m especially thankful I found a way to write about Kramer and Kosmo. 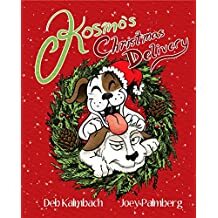 Last year, I launched Kosmo’s Christmas Delivery, a children’s picture book. My friend, Joey Palmberg, brought the story to life with his delightful illustrations. Even though it’s fiction, it’s based on some real-life events. And so the legend of Kosmo lives on! Thanks Deb for your moving story. It is a reminder to enjoy every minute with our loved ones, whether it is a favored pet or a beloved spouse, family member or dear friend.